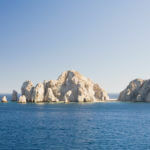 Why not spice up your Mexican vacation in Cabo San Lucas with the fun and exhilaration of an ATV tour? The rugged and stunning scenery that surrounds the cities of Cabo San Lucas and San Jose del Cabo is perfect for all-terrain vehicle tours. The 21 miles which encompass both cities are somewhat of a paradise for lovers of the outdoors and petrol heads alike. It would be hard to ignore the many different activities and landmarks that can be encompassed by an ATV tour in Baja California. Whether you want to see a historic site, or just speed through sand dunes with your family beside you and the wind in your hair ATV tours could give you just what you want from your vacation in Cabo San Lucas. If you take the road northward of Cabo San Lucas you’ll come to the tiny and beautiful village of La Candelaria which is known for its black and white magic alike. Perhaps the most interesting thing about this little village, which houses only 60 people, is that though its people live very traditional lives it is only twenty five miles from the bustle and luxury of Cabo San Lucas. This 200 year old village is a very popular destination for ATV tours precisely because of its location and unique way of living. Those who would rather enjoy the beauty of nature and the fresh sea air might perhaps prefer to take one of the most popular Cabo ATV tours which goes around Migriño Beach. This 3 mile stretch of beach has really got it all. The soft sands and gentle waves connect to the desert and dry riverbeds of the surrounding area. In fact if you travel far enough along Migriño beach you’ll see the Los Paredones cliffs which tower 100 feet above sea level. This beach is perfect for those who want to zip around on their ATV without any real destination or route in mind. Grab life by the handlebars while you’re on vacation in Cabo San Lucas and take one of the fun ATV tours on offer to explore the beautiful landscapes that Baja California has to offer to you. 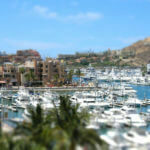 Share the post "Cabo Fun with ATV Tours"